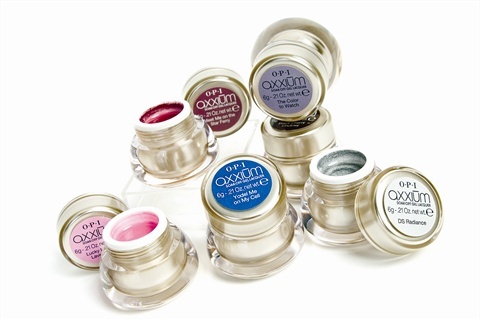 OPI unveils eight new Axxium Soak-Off Gel Lacquer Shades. These shades add to the 34 that are currently available, which feature OPI’s best-selling polish shades in a UV-cured, soak-off gel formula for long-lasting wear and color for up to two weeks. The colors are Yodel Me on My Cell, The Color to Watch, Meet Me on the Star Ferry, Black Cherry Chutney, Lucky Lucky Lavender, Lucern-Tainly Look Marvelous, Glitzerland, and DS Radiance. For more information, visit OPI.